Beautifully created long gown frock in red & gold color. Ideal for parties, wedding or as an unique prom dress. 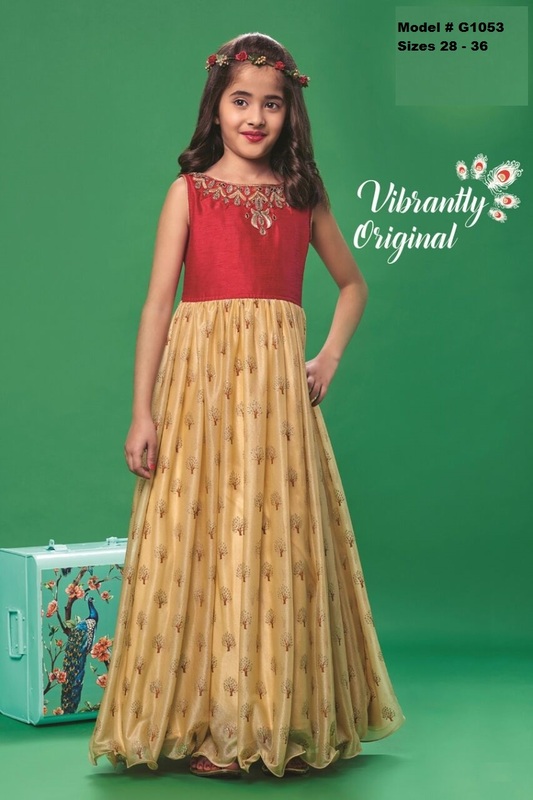 Buy Vibrant Red & Gold Designer Long Gown Party Wear Girls Dress, sold & shipped by Varshini Collections where you can shop online for Kids Ethnic Indian Wear & Ladies Kurtis. This Lehenga Choli collection has been tagged as Long Frock, Kids Wear, Indian Clothes.